Although the just-unveiled Chevrolet Camaro ZL1 will be the top-end performance package of the Camaro, Chevy's reborn muscle car, it won't be the last high-powered special edition. 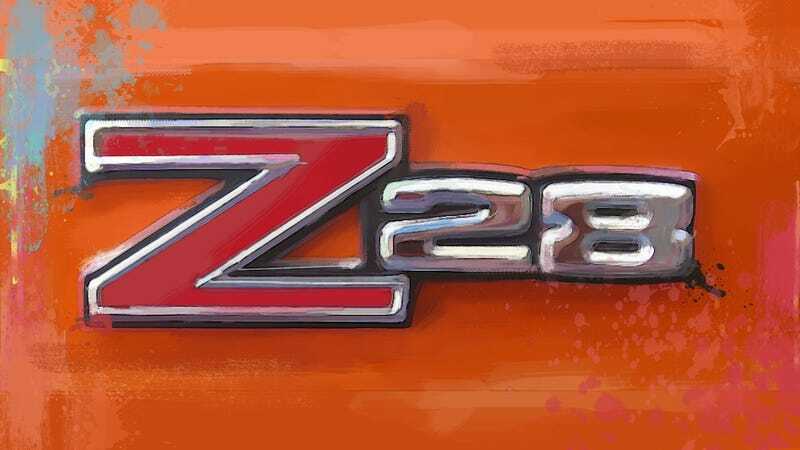 The Z28 is still coming, and GM wants to know what you think it should be. The Camaro's Z/28 option code, introduced in December 1966 for the 1967 model year, was designed to allow any Chevy dealer the ability to offer a virtually race-ready Camaro. The original 1967 Chevrolet Camaro Z/28 was a muscle car that emphasized handling as much as power. Which is why, GM folks tell us, this week's introduction of the high-horsepower LSA-powered Chevrolet Camaro was called the ZL1. GM still wants to bring to market a lighter, better-handling, higher-than-SS version of the Camaro to market called the Z28. One source, with the product team, tells us that for the moment, although Chevy's focused on selling the ZL1, they're still working on developing the Z28 and unveiling it in the next 18 months. The Sports Car Club of America's Trans American sedan series was the racing showcase for pony cars in the late '60s. And to enter the Camaro as a competitor, at least 1,000 streetable examples had to be produced. So Chevy's choice was to make a forged steel version of the 283-cid V8's crankshaft into its 327 V8 to get 302 cid, and then make the 302 a Camaro Regular Production Option Code. So low-key was the effort that the car wasn't advertised, or even mentioned in sales literature. Knowledgeable buyers had to order a base 6-cylinder Camaro, and then find the check box for what turned out to be the most famous RPO in history: Z28. Given that history, and given the current lineup Chevy's got — and the current lineup the Mustang's got — they're still just not entirely sure what the Z28 could be — and from what we hear, they're interested in knowing what you think. So, in the comments below, tell us what you think the Z28 should be?